GASVESSEL partner Navalprogetti is developing a novel ship design, integrating the innovative pressure cylinders for a cost-effective waterborne gas transport. 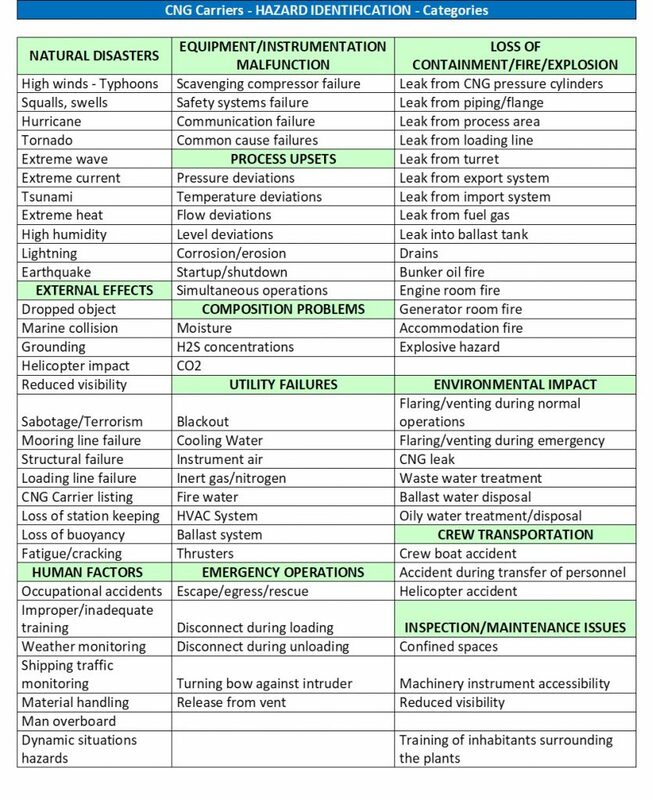 The next step in the design process of the CNG ship is to perform a Hazard Identification (HAZID) workshop for the ship itself and for the relevant gas containment and handling systems. In addition, Navalprogetti is arranging the attendance of a specialist with a very long experience in construction, management and operation of LNG ships. During the workshop the brainstorming will be guided by ABS representatives based on the previous HAZID investigations performed to obtain the Approval in Principle (AIP) and the ABS Guidance Notes on RISK ASSESSMENT – APPLICATIONS FOR THE MARINE AND OFFSHORE OIL AND GAS INDUSTRIES – Latest edition.